From right: Mr. KATO Norihiko, CEO of Sathapana Bank, Mr. Vong Sokhal, Chief Planning Officer, Sathapana Bank. 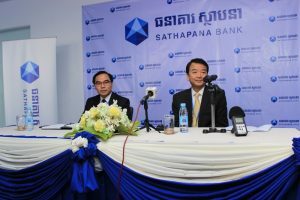 Phnom Penh, Cambodia, 27 November 2017 – Sathapana Bank today launches its new brand identity featuring a new logo mark. It reflects the continuing evolution of the company to become the leading retail commercial bank in Cambodia as well as its aspirations for the future. 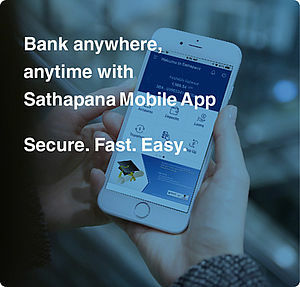 The new brand identity represents Sathapana Bank’s key values such as strength, security, stability, reliability, transparency and commitment to deliver a high level of customer service standard. “The launch of our new brand identity signals an important phase in the transformation of Sathapana Bank as we seek to appeal to a wider client base while remaining committed to make Cambodian people’s lives better through our innovative, digital and tailor-made banking products and services as a commercial bank,” said Mr. Kato Norihiko, Chief Executive Officer of Sathapana Bank. 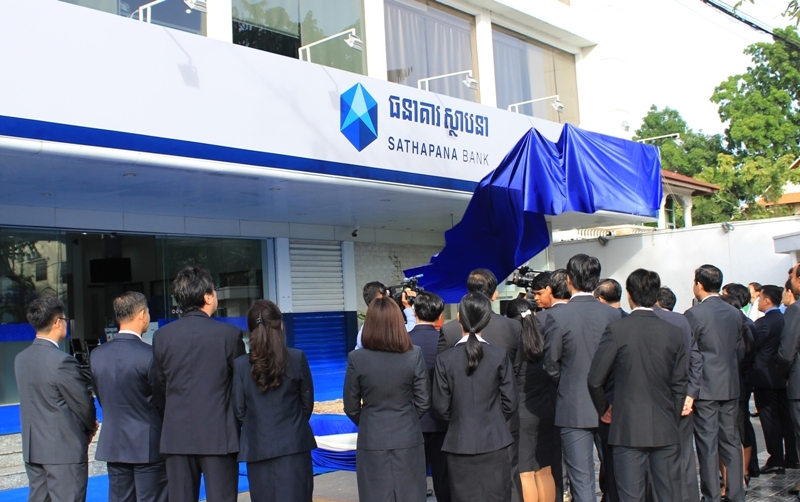 The new Sathapana Bank logo crest was derived from various inspirations such as Japan’s Mt. Fuji, the honeycomb structure, safety deposit box and the reflection of the blue sky on glass windows of modern skyscrapers. Sathapana Bank’s refreshed slogan is “Makes Your Life Better”. 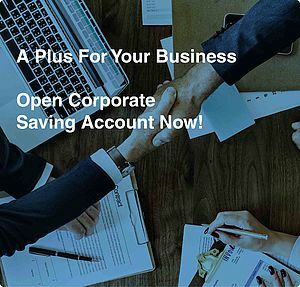 This tagline encourages customers to use the bank’s full banking services to open up bigger opportunities for success through its accessible financial solutions at nationwide branches and ATM network.The new brand identity will be rolled out to all Sathapana Bank corporate and marketing materials in the days to come. Sathapana Bank is one of the leading commercial banks in Cambodia with total assets of over US$1billion as of 30 September 2017 (unaudited). With a total of 168 branches, 100 ATMs and more than 4,000 employees, the bank provides full banking services such as loans, deposits, domestic and foreign remittances, guarantees, and export and import settlement, among others.